Good afternoon all, and happy Wednesday!!! I was wandering through The Bay the other week and saw that Clinique finally had a bonus gift out. The last one was way back in February, which you can read about here, and since then I had been waiting and waiting for the next bonus before I stocked up on my favourite products. 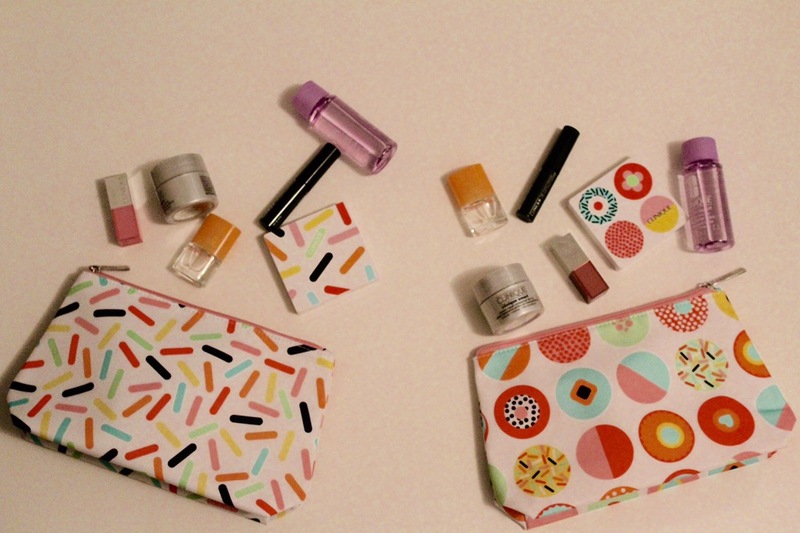 Well, I stocked up all right, and the cosmetics bags are so cute and I love all the sample size products. To qualify for the bonus, I purchased four products in two separate purchases so I could get one of each bonus. In the first round, I picked up a Different Lipstick in the shade Glazed Berry, which is a gorgeous frosted rose pink shade, and a Long Last Soft Matte Lipstick in the shade Matte Beauty, a classic rose shade that offers full-coverage and a matte finish without drying or fading. In the second round, I went for one of the new Clinique Pop Lip Colour + Primer Lipsticks in the shade Graffiti Pop, a vibrant raspberry pink (after swatching all the shades on my arm, of course). 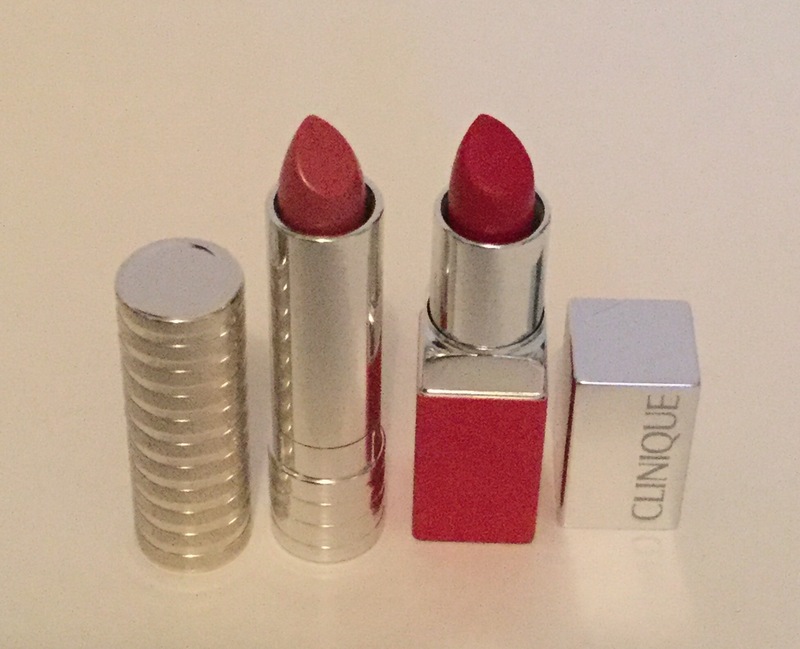 I reviewed the original Clinique Pop Lip Colour + Primer Lipsticks back in 2015, which you can read here if you’d like, and my main issue with them was that the demi-matte finish meant they did not last as long as the soft matte lipsticks and they had a slight sheen. Well, this new release of matte pop shades has me motivated to mosey on over to the Clinique counter next time I’m out shopping and scoop up a few more. I also picked up a Clinique Pretty Easy Liquid Eyelining Pen in 01 Black because I have been obsessed with it ever since it was first released and I reviewed it here, and now it is just starting to run out, so I am keeping another one on hand. 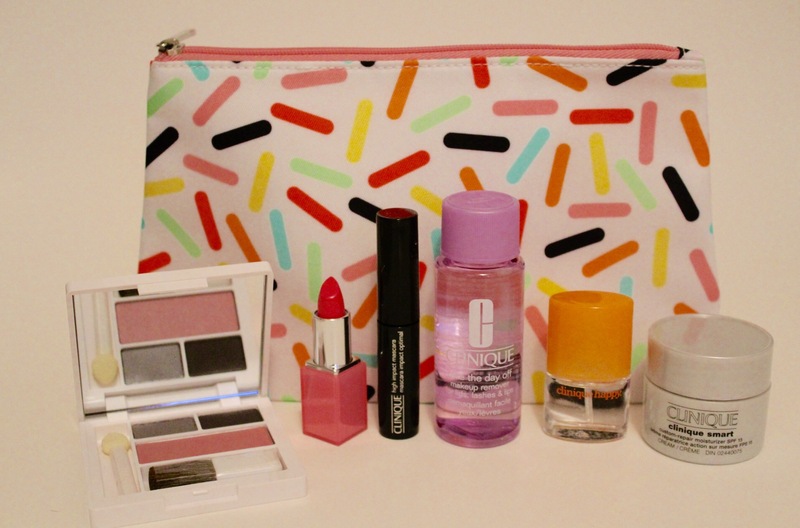 The choices available for this bonus were the cosmetics bag, and the colour collection of Sweet or Sassy. I got one of each because I was super eager to snoop through them and try out all the shades of the colour collections. 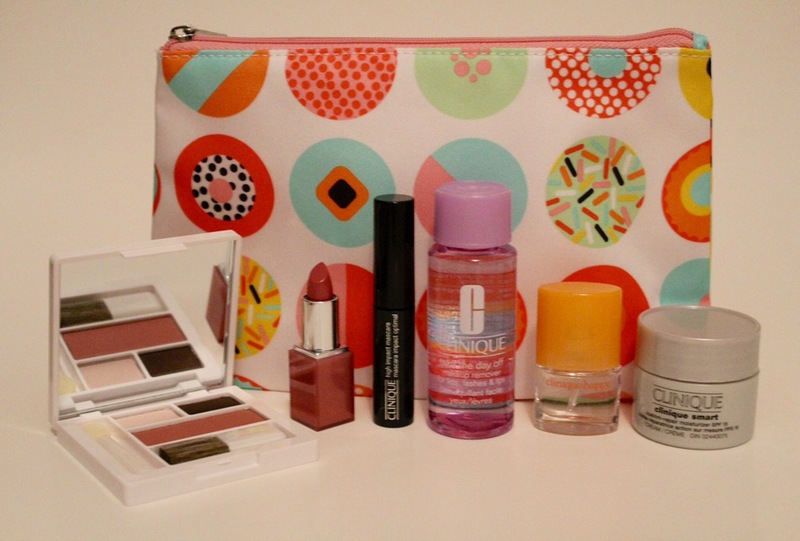 What Clinique products have you been loving lately?? ?